After church, we went to the Redkite Swans Family Day at the Sydney Football Stadium. This year, Stephanie and Jeremy had worked hard on their banner and were proud to win first prize in the banner competition! 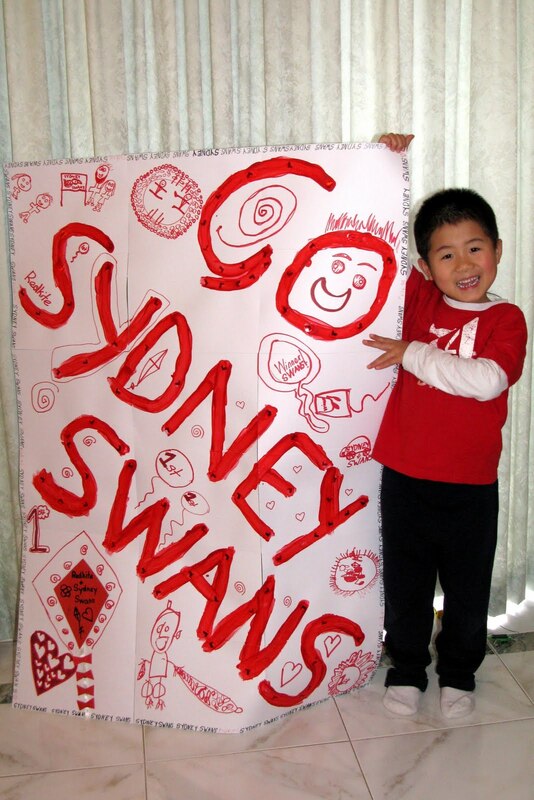 Unfortunately, the Sydney Swans didn't do as well in their match against the Freemantle Dockers! Stephanie and Jeremy were happy to be part of a guard of honour as the Sydney Swans ran onto the Sydney Cricket Ground. We were pleased to see other Camperdown Ward survivors looking so well and to chat with their parents again. Only a month to go before Jeremy has (hopefully) his last bone marrow aspirate on 17 August 2011.